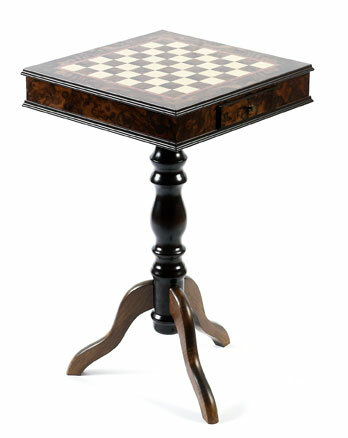 Maple & Walnut Pedestal Table with Inlaid Mosaic Border. •	Maple and Walnut wood construction with mosaic inlaid borders. •	Measurements are 27”H x 16” W.
•	The Squares measure 17/16” inches.